Joint Entrance Examination (Advanced) is conducted by the IITs under the guidance of the Joint Admission Board (JAB). The performance of a candidate in this examination will form the basis for admission to the Bachelor’s, Integrated Master’s and Dual Degree programs (entry at the 10+2 level) in all the IITs. UPDATE (Apr 1, 2019): JEE Advanced 2019 Eligibility Criteria announced, read more here. ALERT: Chandigarh University Admissions are currently open. Click here to apply. UPDATE (Mar 30, 2019): JEE Advanced 2019 Official Mock test is now available, read more here. UPDATE (Mar 19, 2019): JEE Advanced 2019 Exam Date has been Revised, read more here. UPDATE (Oct 13, 2018): JEE Advanced 2019 Exam Date Announced, read more here. Two papers each of 3 hours duration – Online (Fully computer based test) mode. Each question paper will consist of three separate sections, viz., Physics, Chemistry and Mathematics. The question papers will consist of objective type (multiple choice and numerical answer type) questions designed to test comprehension, reasoning and analytical ability of candidates. Negative marks will be awarded for incorrect answers to some of the questions. The question papers will be in English and Hindi languages. The candidates will have the option to choose (and also switch between) the preferred language anytime during the examination. A candidate must clear the JEE (Main) Cutoff to be eligible to take the JEE (Advanced) exam. Top 2,45,000 candidates (including all categories) in JEE Main Paper-1 will be eligible. Note: The total number of eligible candidates can be slightly greater than 2,45,000 in the presence of tied ranks/scores in any category. A candidate should have been born on or after October 1, 1994. Five years relaxation is given to SC, ST and PwD candidates. A candidate can attempt JEE (Advanced) a maximum of two times in consecutive years. Therefore, candidates who appeared in JEE (Advanced) 2018 for the first time are also eligible. A candidate should have appeared for the Class XII (or equivalent) examination for the first time in all the subjects in either 2018 or 2019. The candidates whose Class XII (or equivalent) examination Board results for the academic year 2016‐17 were declared after June 2017 are eligible. Note: For admission to IITs, performance in Class XII (or equivalent) examination is also considered. You can check that criteria here. A candidate should NOT have been admitted in an IIT (irrespective of whether or not he/she continued in the program) OR accepted the IIT seat by reporting at a reporting centre in the past. The candidates whose admission at IITs was cancelled after joining any IIT are also NOT eligible. Candidates who have been admitted to a preparatory course in any of the IITs for the first time in 2018 can appear in JEE (Advanced) 2019. The candidates who paid seat acceptance fee in 2018 but (i) did not report at any reporting centre, OR (ii) withdrew before the last round of seat allotment, OR (iii) had their seat cancelled (for whatever reason) before the last round of seat allotment for IITs, during the joint seat allocation in 2018 are eligible. The official mock test is made available to the candidates appearing for JEE Advanced. Candidates can take the Mock Test to understand the pattern of the examination and make themselves familiar with the interface. Mock test is for practice purpose only. 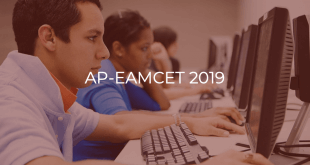 UPDATE: JEE Advanced 2019 Official Mock Test is now available. Mock test 1 | Mock test 2. See previous year Question Papers and Answers here. The registration for JEE (Advanced) 2019 will begin on May 3, 2019 (10 AM). Only the candidates who satisfy each and every eligibility criteria can register. The last date to register is May 9, 2019 (5 PM) while the last date for application fee payment is May 10, 2019 (5 PM). Step 1: Fill Registration Form at JEE (Adv) web portal. Step 2: Upload Scanned Certificates. Step 3: Pay Registration Fee. Class X certificate (if the date of birth is mentioned in it) OR Birth certificate. 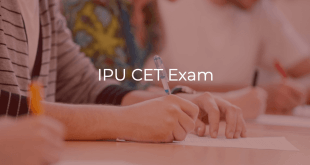 Class XII (or equivalent examination) certificate (for those who appeared for this examination in 2018 or whose board declared the Class XII (or equivalent examination) result after June 2017). If the name is not same as in the Class X certificate, gazette notification showing the change of name. GEN-EWS certificate (FORM-GEN-EWS) issued by the Ministry of Social Justice and Empowerment. OBC-NCL certificate (FORM-OBC-NCL) issued on or after April 01, 2019. If any OBC-NCL candidate fails to collect the OBC-NCL certificate (issued after April 1, 2019) before online registration, he/she may upload a declaration (Declaration) in Lieu of OBC-NCL Certificate to that effect. Caste (for SC) or tribe (for ST) certificate (FORM-SC/ST). Physical Disability certificate (FORM-PwD II/III/IV whichever is applicable) issued by the notified medical authority. Dyslexic candidate needs to submit FORM-DYSLEXIC 1 and 2 instead of FORM-PwD. The certificate must mention SEVERE to enable the candidate get the benefit of PwD category. Certificate (FORM-DS) issued by a competent authority in the Directorate of Resettlement and Rehabilitation, New Delhi under the Ministry of Defence or the Ministry of Home Affairs, Govt. of India. PIO card or OCI certificate. Candidates who successfully register for the JEE (Advanced) examination can download the admit card from JEE (Adv) portal after May 20, 2019. The admit card will contain the Name, Roll number, Photograph, Signature, Date of birth, Category, Address of the candidate, Address of the Test Centre allotted and Test schedule. Candidates should carefully examine the entries in the admit card and in case of any discrepancy, contact the Chairman, JEE (Advanced) 2019 of the respective zonal coordinating IIT. A printed copy of the downloaded admit card along with an original photo identity card should be produced at the time of examination. Note: An original admit card will be issued to the candidates during the Paper 1 of the JEE (Advanced) 2019 examination. This original admit card must be retained safely till all the formalities of admission are complete. Efforts will be made to allot the centre from among the candidate’s choice but a different centre in the same zone may be allotted under exceptional circumstances. Request for change centre will not be entertained under any circumstances. The responses of the candidates who have appeared for both Paper 1 and Paper 2, recorded during the exam, will be mailed to their registered email ids by June 1, 2019 (5 PM). The answer keys for both the papers will be displayed on the JEE (Advanced) website on June 4, 2019 (10 AM). The candidates who are not satisfied with the answer key may challenge it online till June 5, 2019 (5 PM). Only the candidates who appear in both Paper 1 and Paper 2 will be considered for ranking. Rank list will be prepared based on the aggregate marks obtained by the candidate. A candidate who qualifies in more than one category will be considered in all the categories to which he/she belongs for the purpose of ranking. Only the candidates who score the minimum prescribed marks in each subject and in aggregate will be included in the rank list. Results will be available on JEE (Advanced) site on June 14, 2019 (10 AM). Category‐wise All India Ranks (AIR) of successful candidates will be available on JEE (Advanced) site after the results are declared. Individual rank cards will not be sent to the candidates. Candidates desirous of joining the B.Arch. program at IITs will have to pass in the Architecture Aptitude Test (AAT). Only those candidates who have qualified in JEE (Advanced) 2019 are eligible to appear in AAT 2019. Candidates must register online at the JEE (Advanced) site for AAT from June 14, 2019 (10 AM) to June 15, 2019 (5 PM). The exam will consist of one paper of three hours duration. The question paper for AAT will be available in English language only. Syllabus of the test can be checked here. AAT will be conducted on June 17, 2019 (9AM to 12PM) at the seven zonal coordinating IITs only. No separate admit card will be issued for AAT and the original admit card of JEE (Advanced) 2019 should be produced at the AAT examination hall. The result of AAT will be declared on June 21, 2019. Candidates securing marks above the cutoff will be declared pass in the test. There will be no separate cutoff for students of any category. There will be no separate rank list for AAT and allotment of seats will be solely based on the category‐wise All India Rank in JEE (Advanced) 2019. IMPORTANT: You can read more about Performance Criteria in Class XII for admission to IITs here. Only pens, pencils, downloaded admit card and an original photo identity card are allowed to be taken inside the examination hall. Candidates arriving at the examination centre after commencement of the examination in each paper (09:00 IST for Paper 1 and 14:00 IST for Paper 2) will not be allowed to take the test. Candidates can contact JEE (Adv) authorities through written communication, phone or email.